From director Chiu Keng Guan (Great Day, Woohoo!) who broke domestic box office records with his film The Journey (2014) comes yet another heartfelt film that possibly can't be more Malaysian-spirited than this. In my review on The Journey, I said that I'd love to see Chiu take on a multilingual or non-Chinese-focused film next, and he actually did it. And it's far more purposeful than its subject on surface. 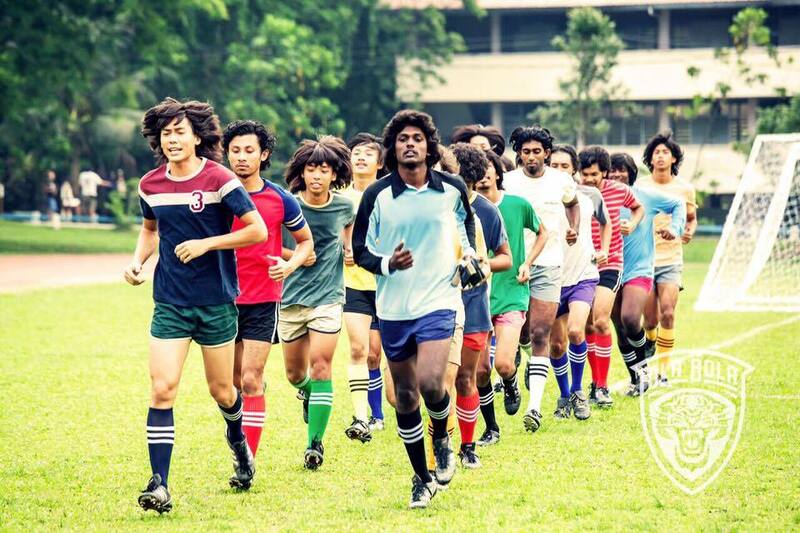 Remember the glorious days when Malaysian football was actually good? When footballers did not play for personal gain? Or when the jersey numbers mattered? The film certainly took me back in time to see what it was like in the 1970s to 1980. The sets, hairstyle and wardrobe are all very convincingly vintage, including the general stuff that people do back then. If you were from that era, it may be quite nostalgic. On top of that, the story itself is an inspiring one. 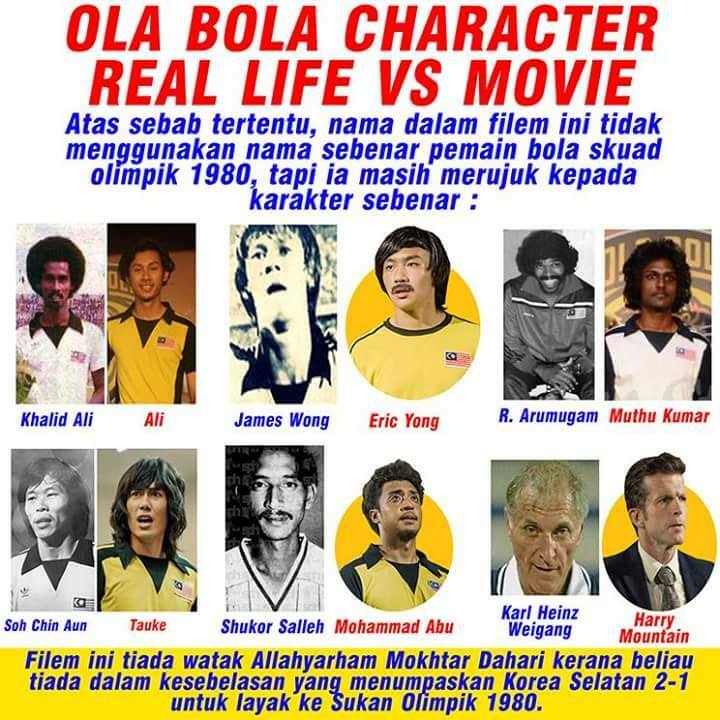 Although the names and results are fictional, the story and characters are loosely based on the actual history and the real players during Malaysian national football team's attempt to qualify for 1980 Olympics without the legendary Mokhtar "Super Mokh" Dahari (but known here as "Shamsul Super 10"). Despite the cheesy dialogues and exaggerated people behaviour, the film is dramatically strong and moving thanks to the excellent execution by Chiu and the committed performances by the cast. JC Chee Jun Cherng, who plays the leading role Chow "Tauke" Kwok Keong, has the charm that resembles F4's Jerry Yan but with much broader acting range. 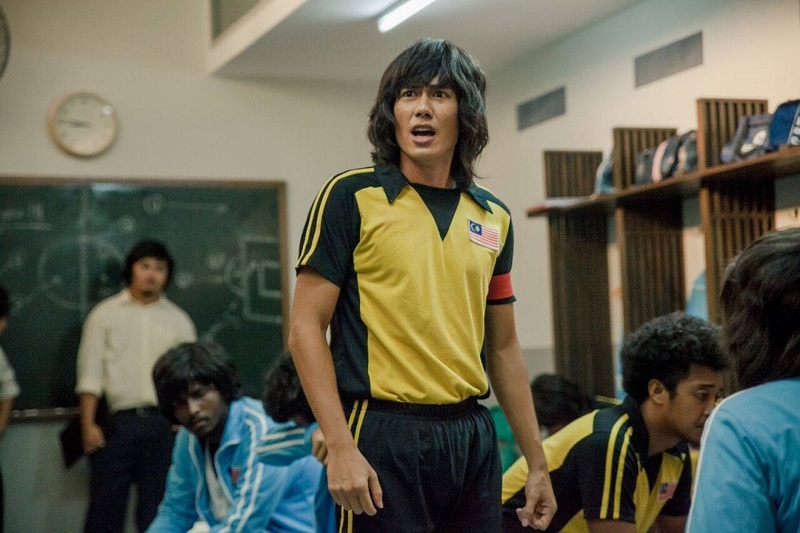 His character, the captain of the national team, is one that could connect to the audience immediately. A hardworker who carries the weight of not only leading his teammates, but also providing for his family and girlfriend. He feels that his dream of taking Malaysian football to international stage is threatened when foreign coach, Harry Mountain (Mark Williams) is hired to managed the team. Although its title along with its promotions do make it seem like a sports picture, there isn't really that much about football itself. There isn't much football action, there aren't talks about tactics, not much showcase of tricks & skills, or even away games (somehow all Olympic qualifying matches in the film are played in Malaysia). But look beyond just the football and you will see beautifully depicted themes of real harmony and patriotism. And watching the film did indeed make "believe" again. 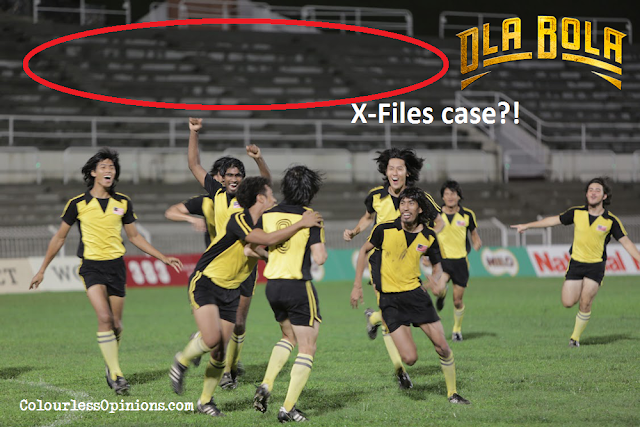 Believe in what, you may ask, but if you're a Malaysian who's seen the film, you'd know what I'm talking about. Although, it would've be even better if the character Harry Mountain was given more development and closure as in the end as he's still pretty much portrayed as an outsider at the end. There are also some pleasantly surprising cameo appearances, some of whom the audience may immediately identify if they followed follow since the golden years. Initially, I thought that this was a Malay-language film, but it felt that English, Cantonese, Mandarin and Tamil are almost equally used. The film is very much high quality Malaysian film made for Malaysians. It shows the lives of Malaysian characters from different backgrounds, culture and ethnicity. It depicts heartwarming racial harmony within Malaysia, true "1Malaysia", without even needing to emphasise on that. We see the characters hanging out together, training together and even when they argue, it's never about race or religion (unlike what the local news reports or our ministers say these days). The captain is Chinese, no issue with that. Brother-like friendship between all races, no big deal. When one race is speaking in their own language, the others aren't bothered by it at all. Basically plenty of scenes that subtly depict all of these and it's brilliant. I believe the point is that this was how it was back then, and not much was able to ruin that. And if it was possible back then, it's possible today. Question is, what's stopping us? If there's anything that's weak in the film, it's the humour. There are some genuinely funny moments but the film is drama-heavy in overall. Some jokes are too repetitive and juvenile, especially the scenes with the three naughty Indian kids that aren't exactly necessary for the story. 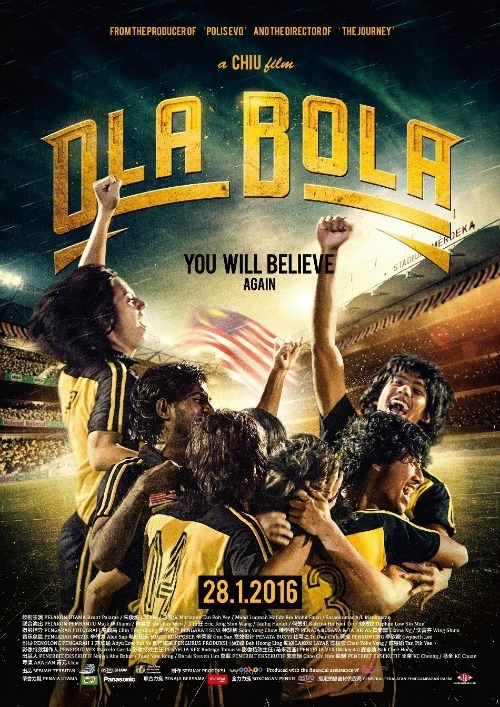 However, even though Ola Bola may not be as entertaining as Chiu's previous films, there's certainly a lot of heart in it, and it may be the most socially important film Chiu has ever made for Malaysia. What I would've named the film: "Tanpa Super Mokh"
Malaysia censorship: It's a local film. What we see here should be the final cut. Second opinion: My girlfriend liked the movie as well, saying that it provides happiness and the Malaysian spirit. Verdict: A film I'd urge all Malaysians to watch and support.